The time of year is fast approaching the snow is melting and the birds are singing, time for us to open the house and freshen up for the warm months ahead. With the normal routines and chores around the house that we all do, don’t forget about your walls. Nothing improves the feel of your home like a good spring cleaning. Refreshing or adding new art is something many of us don’t think about, but take a good look at what you have on your walls if you have been looking at the same art for years it maybe time for an update or a good refreshing. Taking a piece that you love and giving it a simple update will add new life. 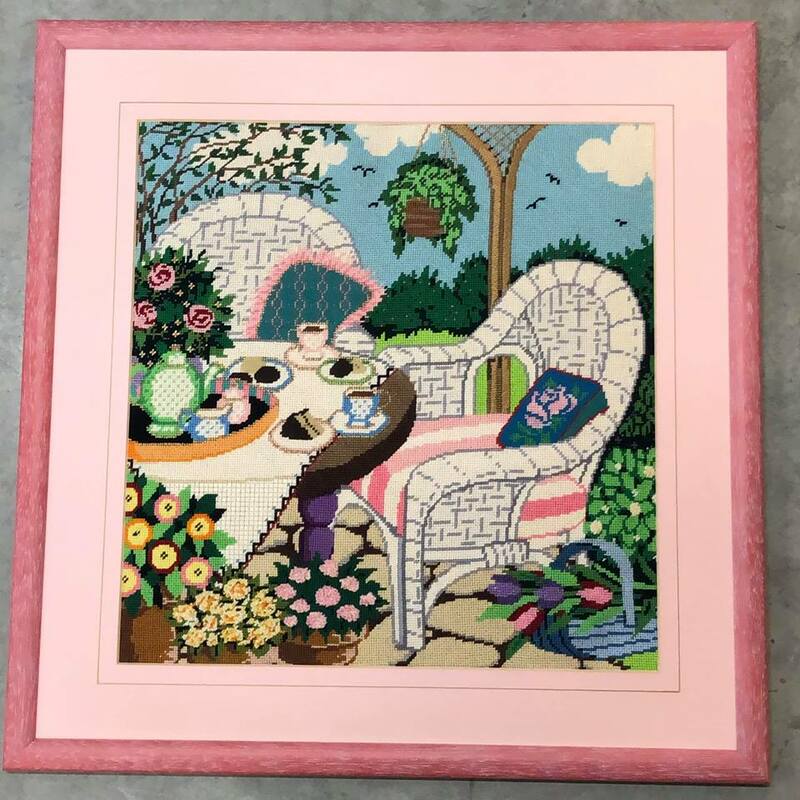 This needlepoint was likely framed in the eighties using non-acid-free matting and mounting materials that have yellowed and faded overtime, the subject is timeless but the pink matting and frame only detract from the beauty of the art its self. By simply changing the mat colors and frame now the entire work of art is preserved and timeless. Today we are far less trendy and look for framing options that will stand the test of time. 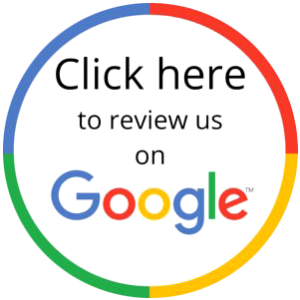 Weather you have decorative or collectable art that you have invested in it is always a good idea to have it cleaned by a professional picture framer. 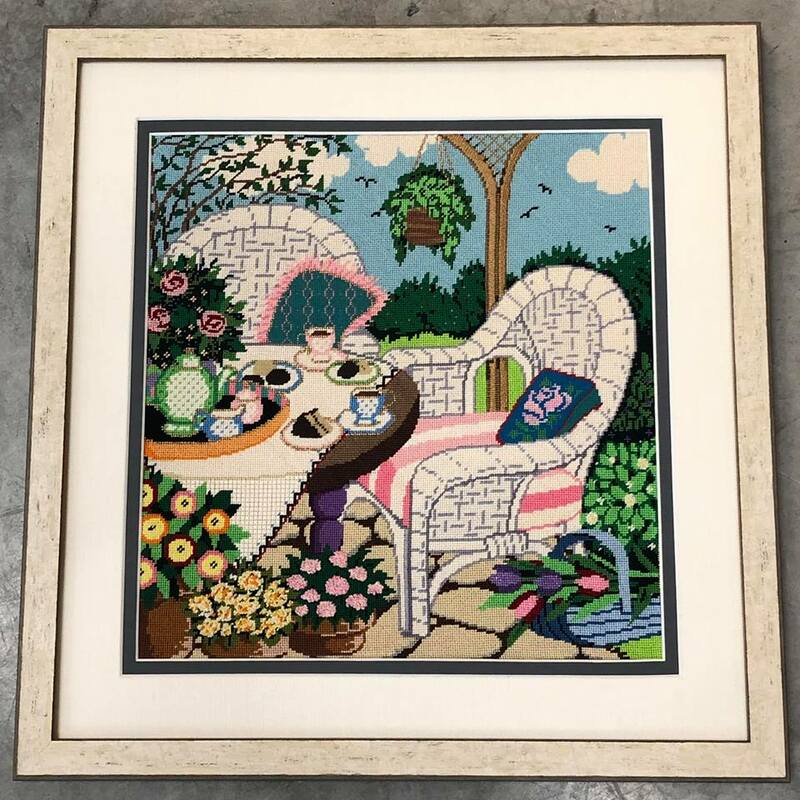 Many materials used in the past are harmful to the work of art, along with acid-free new and improved methods for framing over the years, you can conserve your investment. 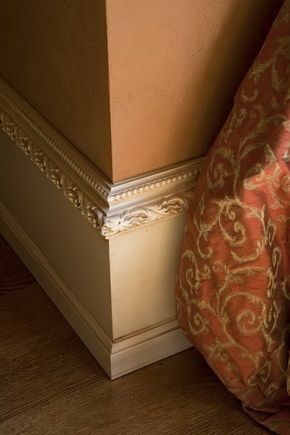 Frame moulding is also an excellent and unique home decor accent, there are many creative ways to incorporate some beautifully crafted moulding into a room that adds a one of a kind design element. 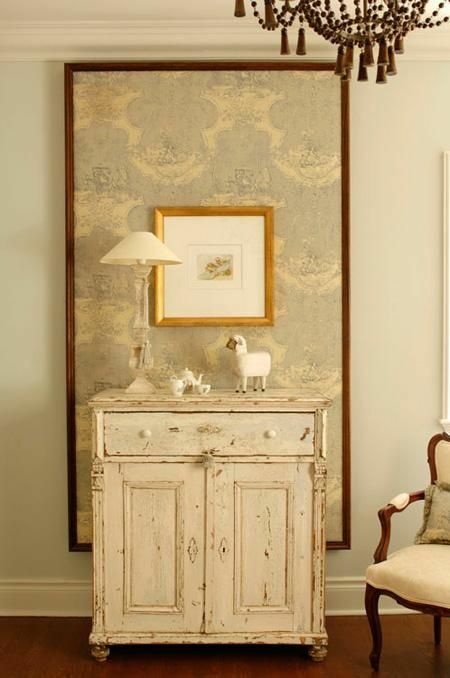 Molding with elegant design make for a wonderful enhancement for the wall trim and if you love the idea of a wallpaper accent but, don’t want the entire wall papered consider a wallpaper panel. Independent framers such as Monica Glasscock of Artisans’ Corner Gallery can work with you or your interior designer to create the perfect addition to any room in your home. Custom framing can be far more that just framing a picture, think outside the frame!